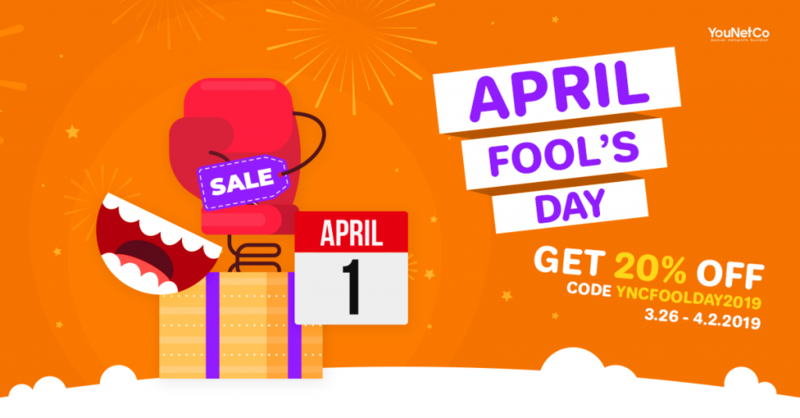 [YouNetCo] April Fools Sale 2019 – Get 20% Off today! What is April Fools’ Day? As you may know, April Fools’ Day is the annual Western celebration. Nobody can sure when it started. Although it’s not a legal holiday, it has been celebrated all around the world on April 1st. You should be a little more careful and cautious on this date, since family members, friends, neighbors, co-workers, and even strange people may try to practical jokes or a hoax of some kind. Certainly, there will be many laughs and funny moments. Sale on April Fools – Can you believe that? Yes, believe us. There are no jokes. It’s really our April Fools Sale 2019. 20% OFF can be applied to all of our products and packages on phpFox Store from now to April 2nd, 2019. Please use coupon code YNCFOOLDAY2019 to avail discount. Last update on March 27, 1:25 am by Moskito. Thanks to the person who finaly move this topic in right place..
@younetco, hi, instead of making jokes here, can I get an answer about the menu bar? Younetco still did not understand that we dont need discounts AND that we are ready to pay 10 times the price for their plug ins ...if only they worked properly and that they provided a consistent support. Last update on April 5, 11:56 pm by Mohammed Alex.